Summer time is back so it’s time to get ready to pack a bag full of wonderful memories. 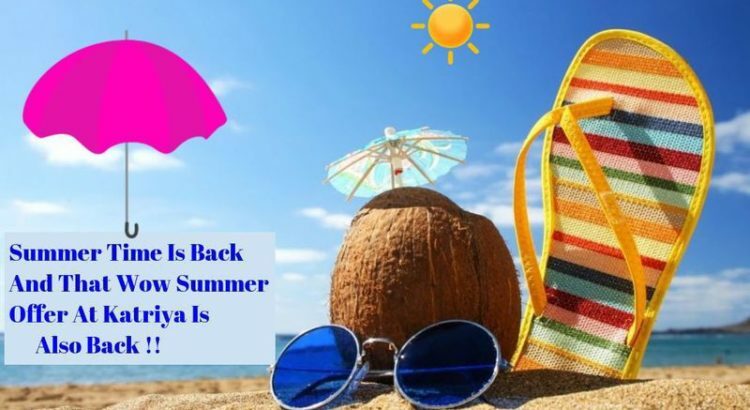 As if you needed another perfectly good reason to take your family to Hyderabad for a fun-filled vacation, special Hyderabad hotel packages for summer are now being offered that make it much more affordable to stay for multiple days in Hyderabad. 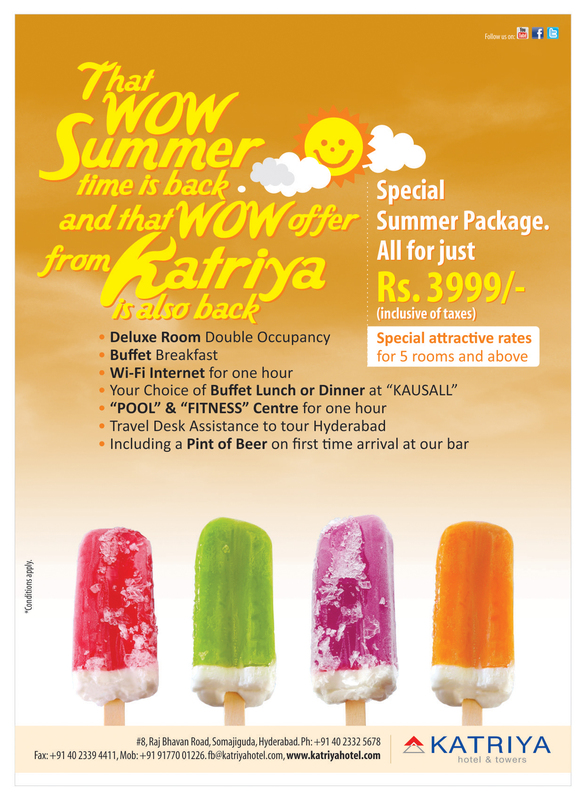 Plan your vacations and experience the joys of Hyderabad hotel offers for summer this year at Katriya Hotel & Towers, Hyderabad. In our endeavour to provide the best hotel packages in Hyderabad to our customers, we are constantly working on new concepts and offers. We at Katriya offer an attractive Summer Package at just Rs 3999 inclusive of all taxes. Enjoy special Hyderabad hotel offers to get the most out of your next vacation while staying at one of the best hotels in Hyderabad. Wi-Fi Internet for one hour. Your choice of buffet lunch or dinner at “KASUALL”. “Pool” & “Fitness” center for one hour. Travel Desk Assistance to tour Hyderabad. Including a Pint of Beer on the first-time arrival at our bar. Grab the best hotel packages in Hyderabad. Special attractive rates for 5 rooms and above. Don’t miss out on great vacation deals! Hurry Up!! Avail the Hyderabad hotel offers and Book Now. How to Pick a Great Family Hotel in Hyderabad?